Millard High School students will be the first of many Utah students who will meet an American Ninja Warrior this week. 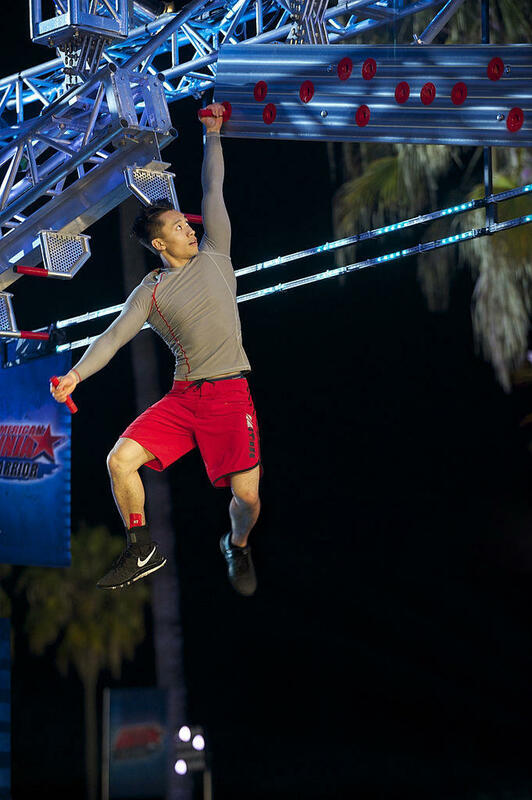 Hoan Do, is a former American Ninja Warrior competitor. Do competed in a series of challenging obstacle courses -- climbing peg walls, and using his skills on balance beams -- for a chance to win $1 million. He was on the NBC show, American Ninja Warrior, in 2014 and made it to the city finals in Venice Beach, California. Now he is a motivational speaker. After speaking on Wednesday at Millard High School, Do will visit Morgan High School and then speak at Weber State University. To learn more about Hoan Do, click here. With spring officially here, gardeners are preparing their orchards for summer crop. The Cache County Sheriff’s Department is warning of a police call scam effecting local citizens. Nearly 1,000 middle school students from the Cache County School District are taking part in Healthy Living field trips on the Utah State University Logan Campus. A new National Park app is available for Apple and Android mobile devices that includes some of Utah’s national parks. "The brain can change itself. It is a plastic, living organ that can actually change its own structure and function, even into old age. Arguably the most important breakthrough in neuroscience since scientists first sketched out the brain's basic anatomy, this revolutionary discovery, called neuroplasticity, promises to overthrow the centuries-old notion that the brain is fixed and unchanging." So says psychiatrist and researcher Norman Doidge, MD. In his book "The Brain That Changes Itself" Dr. Doidge examines the cases of a woman born with half a brain that rewired itself to work as a whole, a woman labeled retarded who cured her deficits with brain exercises and now cures those of others, blind people learning to see, learning disorders cured, IQs raised, aging brains rejuvenated, painful phantom limbs erased, stroke patients recovering their faculties, children with cerebral palsy learning to move more gracefully, entrenched depression and anxiety disappearing, and lifelong character traits altered.